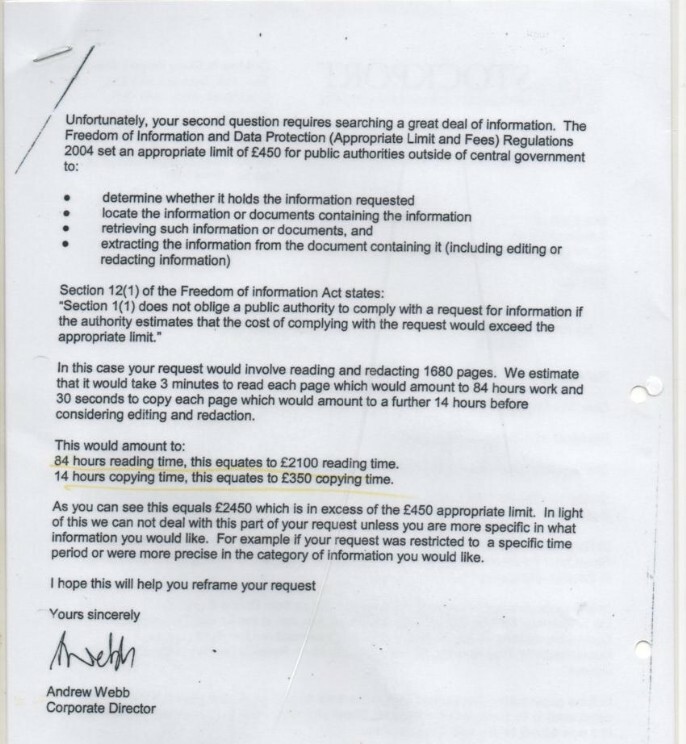 Andrew Webb Director of Children's Services at Stockport Council and now involved with Devo Manc is a corrupt liar. 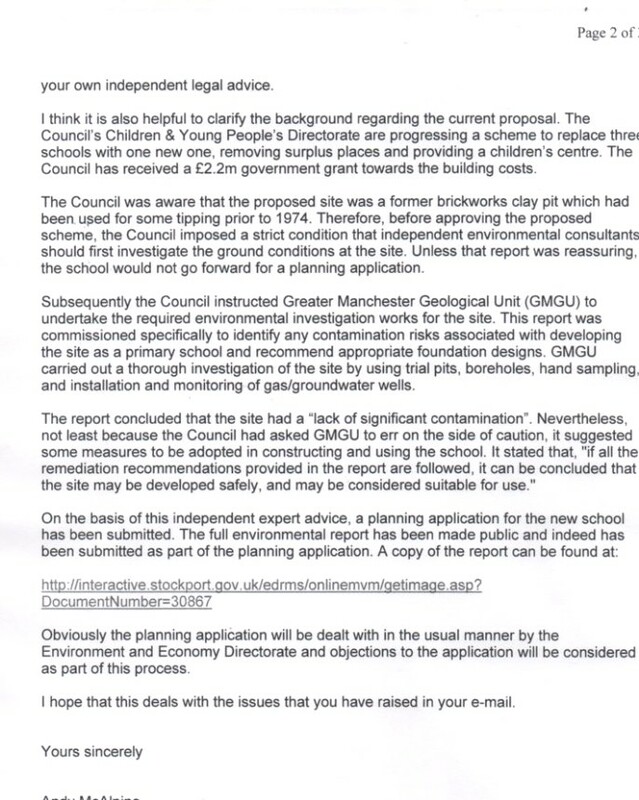 84 hours to remove all the secrets pertaining to one new primary school to be situated on top of a still gassing, brown asbestos-riddled, former toxic waste dump? Andrew Webb should be locked up. 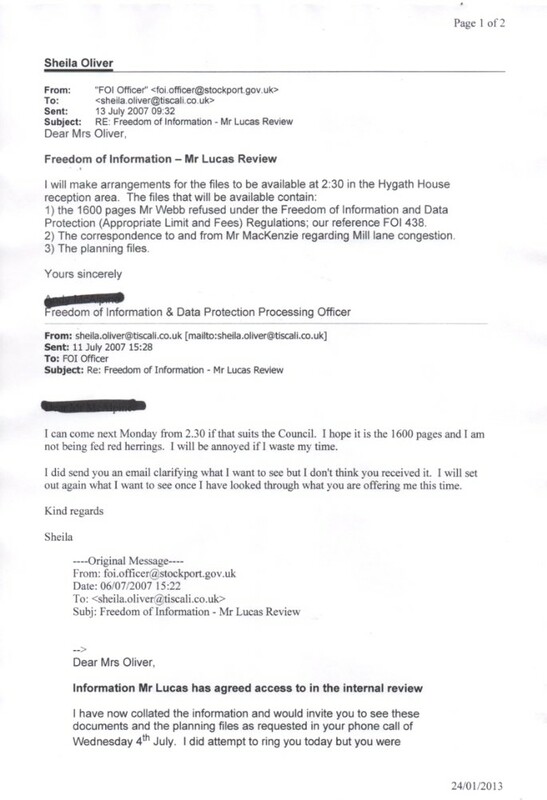 After I showed up the dodgy LibDems in Parliament over their claims to respect FOI, within hours they let me see the documents originally refused to me by Andrew Webb who tried to claim there were so many secrets in the building of a new primary school that it would take a council officer 84 hours to "redact" them. That man is a liar. I refer to you request for information detailed below. 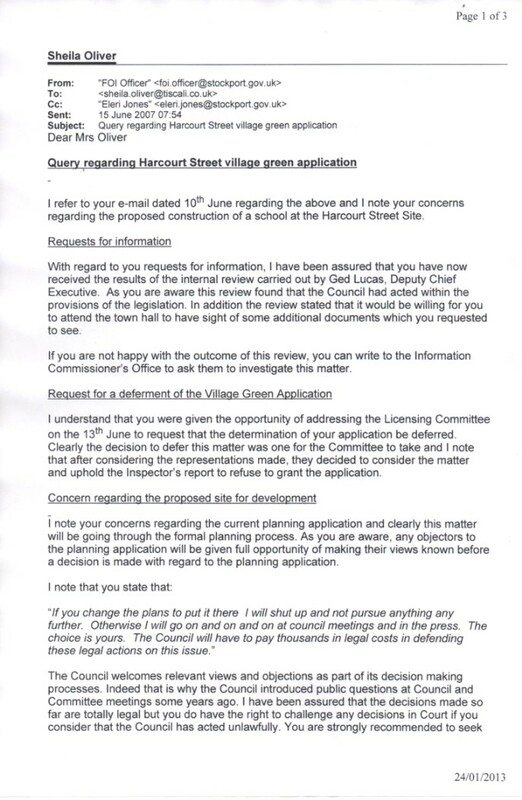 The appeal process for the Council has been on responses to information requests for a significant period of time; the Council does not hold any recorded information in relation to the ICO contacting the Council on this issue. 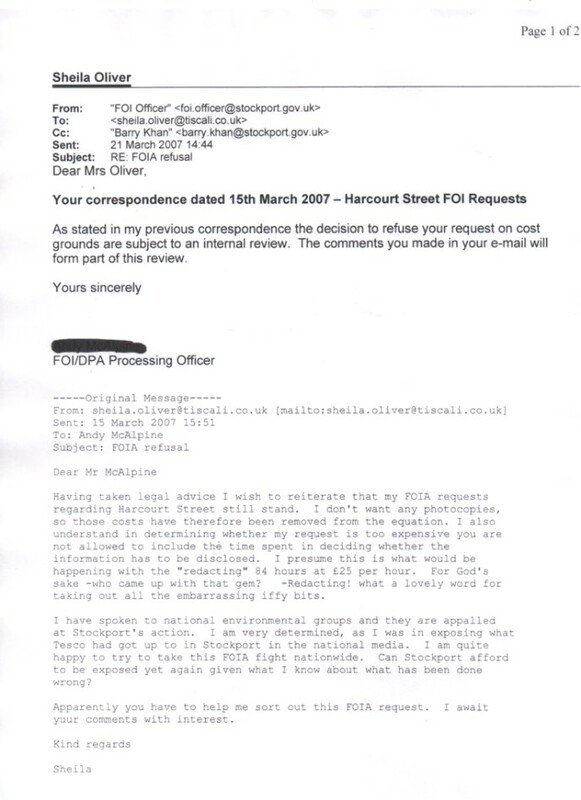 The only recorded information held by the Council that would fall under your request is the attached two letters from the ICO to the Council and one letter from the Council to the ICO in relation to ICO case reference FS50070188 which related to your complaint to the ICO regarding pre-executive meeting minutes. Gosh, thanks for that. You seem to have a helpful generic message at the end of your emails now. I wonder if our complaints to the Information Commission have borne fruit? 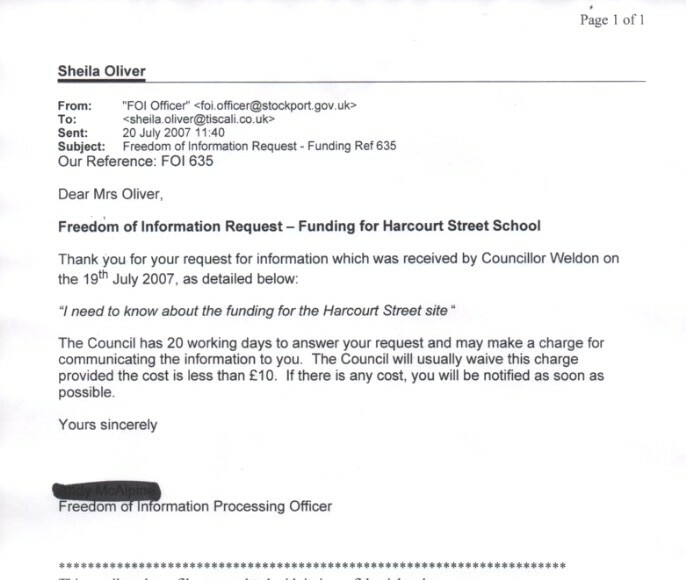 May I see any communication between the Information Commission and Stockport Council regarding the Council's handling of FOI issues. 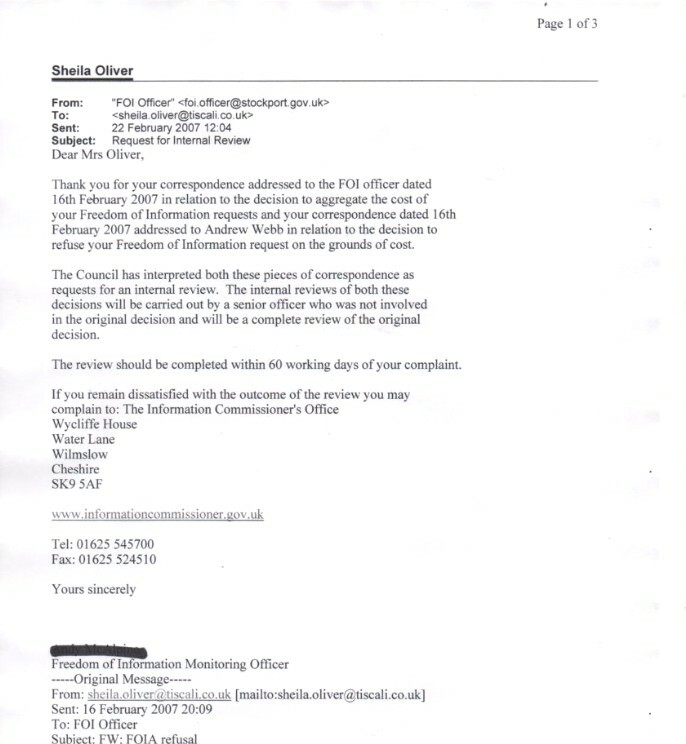 I am writing in response to your request for information below (Ref 922). To answer your question, we have assumed that by ‘tapping’ you refer to monitoring individuals’ phones or emails covertly i.e. without their knowledge. The answer to this question is no. If you are unhappy with the way we have handled your request, you are entitled to ask us to conduct an internal review. Any internal review will be carried out by a senior member of staff who was not involved with your original request. 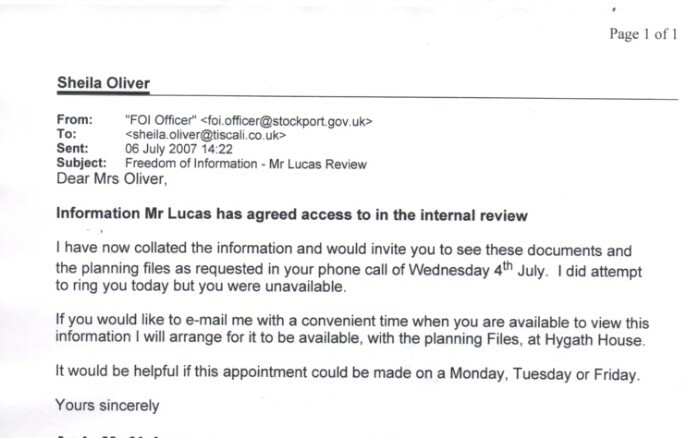 To ask for an internal review, contact foi.officer@stockport.gov.uk in the first instance. I note from the national press that some Council's are tapping people's phones and emails in some instances. 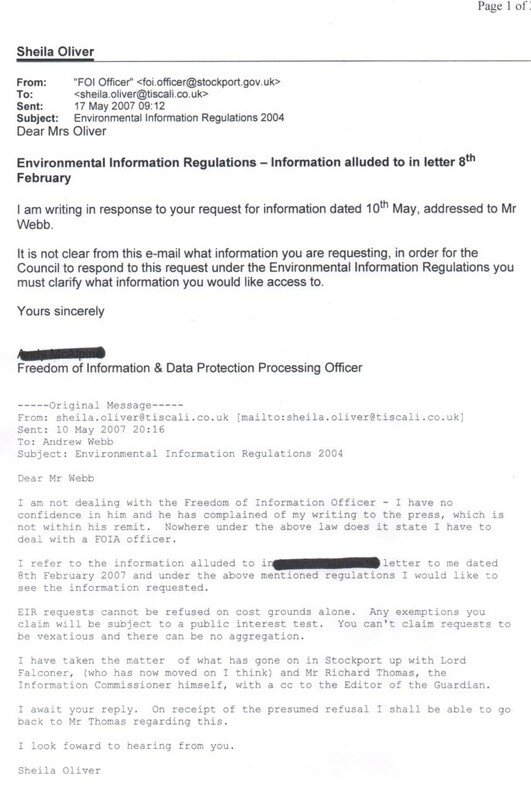 Are any individual's emails or phones being monitored by Stockport Council? responsibility to prove it does and you have to use your legal rights within 3 months. Info Com and you must start the process within 3 months of the initial request !! !